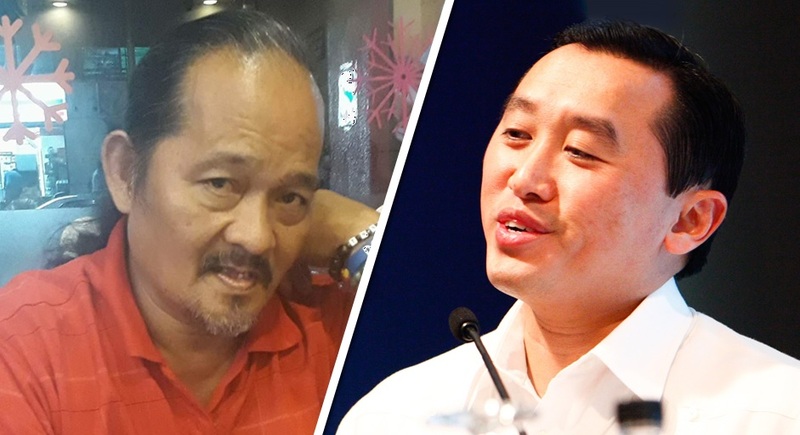 Actor Roberto Reyes, popularly known as “Amay Bisaya,” and Deputy Speaker Arthur Yap confirmed their attendance during the Gubernatorial Candidates’ Forum 2019 at the University of Bohol in Tagbilaran City on April 23. The Bohol Gubernatorial Candidates’ Forum 2019 will push through even without one of its invited protagonists, former Cabinet secretary Leoncio Evasco, Jr. who declined an invitation to join the event which gives an opportunity to poll bets to convey their platforms and stand on various issues. The forum will proceed as planned at the University of Bohol in Tagbilaran City on April 23 with two gubernatorial candidates confirmed to participate, Rep. Arthur Yap and actor Roberto Reyes, said Albert Uy, chairman of the Bohol Chamber of Commerce and Industry (BCCI) which organized the event. “Duha ang mi-confirm unya based sa decision sa among grupo, we have to proceed sa candidates forum kay maluoy pud ta sa mga kandidato na hing move sa ilang schedule to accommodate sa event karong April 23 kay kahibaw naman ta na kampanya ron, hectic na ang schedule nila pero gigahinan g’yud nila og panahon na makatambong,” he added. Evasco, in a letter addressed to Uy, earlier begged off from the forum citing “reservations” over the event’s mechanics. However, the rules and mechanics of the BCCI candidates’ forum have been applied in four editions of the event held during the past three election seasons and the current campaign period. The same mechanics were applied during a congressional candidates’ forum for the Third District on Monday. Each candidate was given three minutes for introduction, three minutes for each of the questions and three minutes for closing remarks. Third District congressional bets Vice Governor Dionisio Balite, retired judge Caloy Fernando and Board Member Tutor joined the said forum. “Mao nana atong mechanics sukad pa sauna. Sa akong gisulti ganina sa akong welcome remarks nga ika upat na ni na naghimo kita aning candidates’ forum sa upat na ka election ug wa man yamoy issues ani bahin aning introduction,” said Uy. Uy however said that the BCCI respected the decisions of Evasco and of all the other candidates who begged off from the series of fora for gubernatorial and congressional candidates. “We are just here to invite. Gi-respetuhan nato ng decision sa tanang mga kandidato labina panahon na sa pangampanya medyo hectic kaayo ilang mga schedule,” he said.